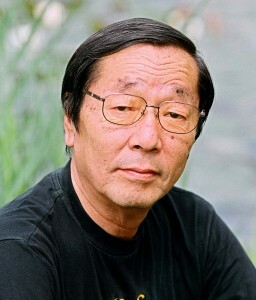 Masaru Emoto was a Japanese author, researcher, photographer and entrepreneur, who discovered that human consciousness has an effect on the molecular structure of water. Emoto’s conjecture evolved over the years, and his early work explored his belief that water could react to positive thoughts and words, and that polluted water could be cleaned through prayer and positive visualization. Emoto believed that water was a “blueprint for our reality” and that emotional “energies” and “vibrations” could change the physical structure of water. 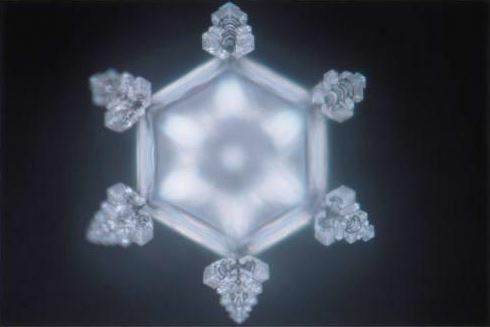 Emoto’s water crystal experiments consisted of exposing water in glasses to different words, pictures or music, and then freezing and examining the aesthetic properties of the resulting crystals with microscopic photography. Emoto discovered that water exposed to positive speech and thoughts would result in visually “pleasing” crystals being formed when that water was frozen, and that negative intention would yield “ugly” frozen crystal formations. Different water sources would produce different crystalline structures when frozen. For example water sample from a mountain stream when frozen would show structures of beautifully-shaped geometric design, but those structures would be distorted and randomly formed if the sample were taken from a polluted water source. Emoto believed that these changes could be eliminated by exposing water to ultraviolet light or certain electromagnetic waves.